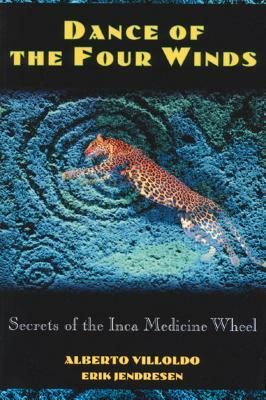 Dance of the Four Winds recounts the adventures of the American psychologist Alberto Villoldo as he journeys to Peru to explore the visionary ceremonies of the native shamans. Here Quecha masters use the jungle plant ayahuasca to further their spiritual progress along the four paths of the Medicine Wheel. Entering a magical realm of enigmatic sorcerers and powerful animal totems, Villoldo confronts the hidden powers of his own mind as he unlocks the secrets of the human psyche. "The stuff of anthropological bestsellers . . . a flight of serious fancy, confounding our categories of fiction and nonfiction." "Interspersed with direct journal excerpts, the story is told with a rich mix of narrative, mythic and colloquial images. Given the transitional nature of Villoldo's experience, his is an excellent story to serve as an introduction for the uninitiated to the belief system and cultural traditions of the Quechua masters."